The Strips ‘n Stitches and Log Cabin Pincushion I talked about in yesterday’s post, uses the seams of the pieced top as a guide for big stitching hand quilting. In this next project, a stylish way to keep your favorite tablet safe becomes the perfect base for whimsical Big Stitch Quilting. 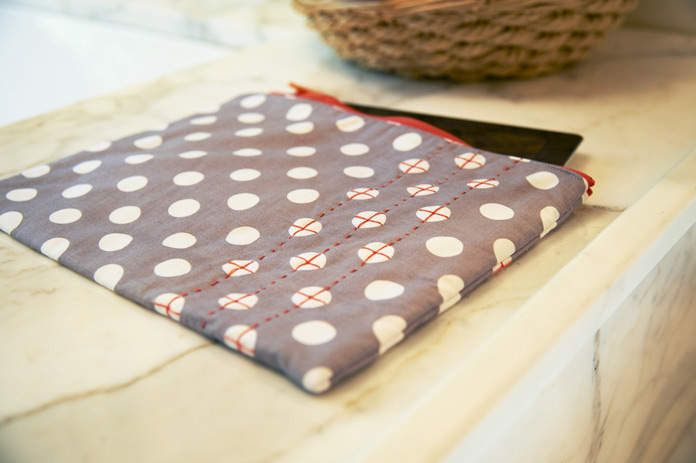 Using a dotted fabric makes even stitching easy! The pattern is called Dot2Dot Tablet Sleeve and can be downloaded from the Coats website. Time to choose your favorite colors and get quilting using big stitch! 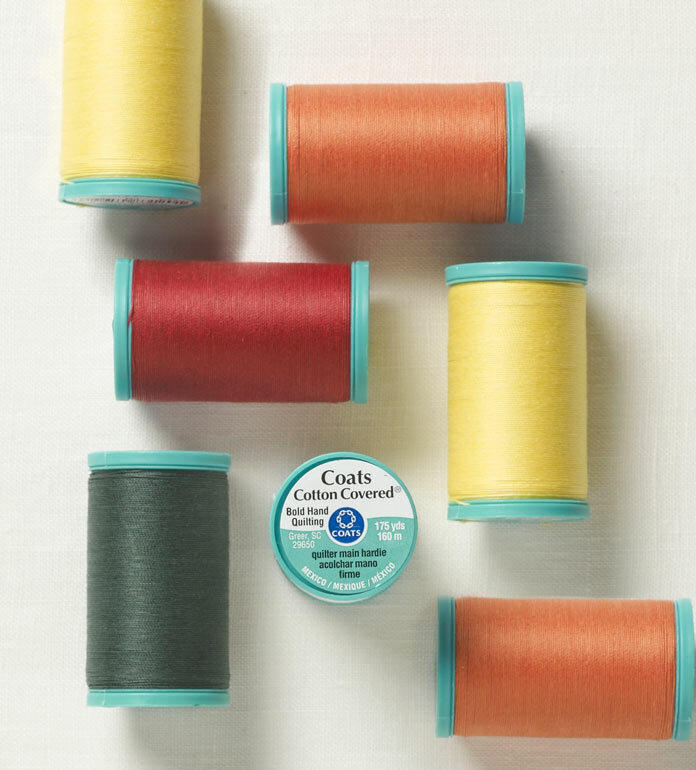 It’s time to choose your favorite colors of fabric and thread. Join me tomorrow, we look at a bigger project where half square triangles meet big stitch quilting using Coats Bold Hand Quilting Thread.